Are you ready to come out as bisexual? We know you’ve probably spent countless hours wondering if bisexuality best describes you– so let us be the first ones to congratulate you! This identity is so powerful. You’re ready to be open and honest about something you value. It’s ok to start off slow– you may not be ready to tell the whole world! We have 13 Tips for Coming Out as Bisexual to help you decide who, when, and how you might tell someone. 1. Decide who, when, and where would be the safest to tell someone. Your safety is #1. You can slide LGBTQ+ topics into your conversation to see how a friend/family member responds, and notice what environments are the most private. Having a friend who knows your location when you tell someone might help ease any anxiety. 2. Who’s the first person you want to tell? Consider who might take the news well. This may be a best friend, a close family member, distant relative, or acquaintance. Coming out to the “easier” people first will be a great start to building your support team. You’ll then have reassurance for any people who might be more challenging to come out to. 3. How are you going to tell them? There are so many different ways to tell someone… Will you send them a text? Say something over family dinner? Or maybe bring it up during a hike? Ideally, keep the environment neutral and remain calm so you can fully express yourself. 4. Celebrate whenever you tell someone. No matter how small– you’ve just been completely open with someone! We love hearing about successes on our Support Community. Check out the Brag Box. 5. Be prepared for a shock. Your sexuality is not something new to you– it’s part of you… but other people may not have expected this. Shock can cause all sorts of reactions– be prepared for any emotion, from disinterest to anger, or sadness. Remind yourself that sexuality is a completely natural thing, and that you’re better for having told someone. Bisexuality is not a term that’s widely understood, or accepted. Many people have misconceptions around bisexuality- check out 10 Things People Say to Bisexuals. Dispel these myths by helping people understand the facts. 7. Who can they tell? How this truth spreads is your choice. Give clear boundaries for who they can tell. Remind them how important it is for you that they keep it to themselves, at least while you finish telling the necessary people in your life. 8. Give them time to process. If they’re sad, or angry, remind yourself that this is their process. It’s not your fault. You were just speaking your truth and wanted to help them know you better. Do not feel guilty for their emotions, and if you find their words are hurting you– give yourself some space. If someone’s reaction hurts you, check out our information on resolving a conflict, here. This can create a safe place to talk about how their actions have made you feel, and they’ll have a chance to talk about how they’re feeling. If setting up a conflict resolution isn’t a possibility, consider writing them a letter that includes how you’re feeling, and what you would like to happen for the future. 10. If they can’t accept you- distance yourself. It’s easier said than done, we know, but try to avoid expectations when telling people that you’re bisexual. Some people may not accept the fact that you’re bisexual, and that’s okay. But it doesn’t mean you have to try to keep them as friends. Good family and friends accept the full you! Although it does tend to get easier the more you tell people, sharing that you’re bisexual never stops. New people come into our lives, as do new love interests. Sometimes they deserve to know the full extent of our sexuality. 12. Check out LGBTQ+ and Bi-specific resources in your area. Meeting people who may have had similar experiences is so powerful for feeling accepted! Finding a group where you can be fully yourself, without judgement, is a beautiful thing. 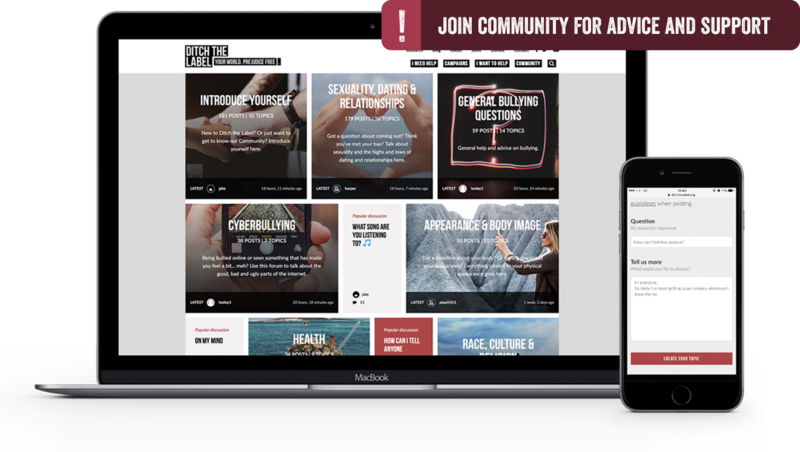 If in-person resources aren’t in your area, or if you prefer an online community, join our Support Community! Many of our other members are figuring out how to share their sexuality with people, too.